Agility is challenging (but fun!) for dogs because they need to focus on both the obstacles they need to navigate and you, the handler. In this 3-week module, part of our Beginning Agility Skills Series, activities will focus on developing this balance of focus between obstacles and the handler, while learning to ignore other distractions present. 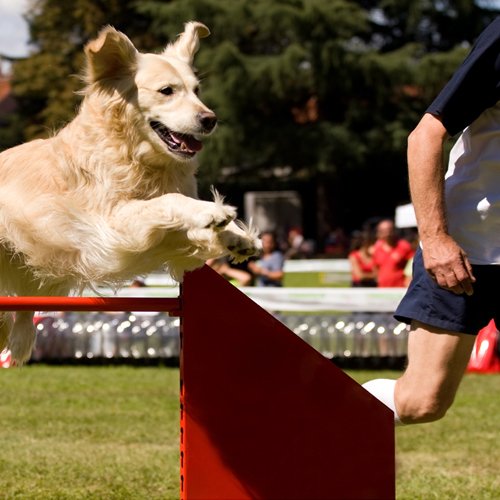 This module also introduces the table obstacle, and that dogs are typically able to complete a sequence of jumps and table at the end of the module.